Two years, in 2006, before creating WordPress 101 (WP101), founder Shawn Hesketh discovered his love for what’s now one of the worlds most popular CMS platforms, WordPress. “At that time, I’d been designing websites for more than a decade. But things were starting to change”, Shawn said. “By the mid-2000s, my clients wanted the ability to edit their own website content, without having to hire a ‘webmaster’, so I started experimenting with all the leading CMS platforms at the time”. When Shawn discovered WordPress, he knew that it would change the way he worked for the foreseeable future: “I found the WordPress UI to be highly intuitive“. We were curious to find out what sparked Shawn’s interest in creating professional tutorial videos that now form the whole concept for WP101. Born out of convenience, Shawn deemed it second nature to provide onsite training for his clients on WordPress before letting them loose on their new website. Many of Shawn’s clients loved the one-to-one aspect of his training, and felt it was extremely helpful. However, they were often concerned what would happen days, weeks, or months down the line. “They often asked, “What happens two weeks from now, when I’ve forgotten what you just showed me?”, Shawn said. Shawn took this as an opportunity; using his background in audio and video production, he created a series of video tutorials. “The initial idea was simply to provide the videos to my clients as a follow-up to the in-person training”, Shawn said. Allowing his clients to have access to the one-on-one training they had previously had felt like a bright idea. “But after I created the video series, several of my WordPress developer friends said, “Hey, I need that for my clients, too! Why don’t you set it up as an online membership site, and we’ll send our clients to your site for training, too”, and thus, WP101 was launched in 2008. And it doesn’t stop there, with many more WordPress tutorials to come. We asked Shawn if he planned further video expansions: “Absolutely! We’ve slated several new courses for production, covering some of the most popular WordPress plugins in use today”. One of the things that really endeared us to Shawn was his eagerness to reach out to other experts. “We’re partnering with expert educators to bring new courses to our members even more quickly in the coming months”, he said. As Shawn wasn’t shy about plucking knowledge from experts in the WordPress arena, we wanted to know more about WP101’s partnership with Codeable. Shawn explained that once in a while some of his members will ask or require a small change to their website, for example, editing some code, theme files, or changing the CSS to amend a font. However, members don’t necessarily want to be the ones doing the work themselves. “Sometimes it may be just a little more than a site owner wants to tackle on their own”, Shawn said. “In those cases, we provide a simple way for our members to reach out to the WordPress experts at Codeable. They employ hundreds of highly-qualified, carefully-vetted WordPress developers who can knock out small changes starting at just $60/hour”. Often is the case, however, is that the founders of these great companies don’t actually experience the experts themselves; not Shawn though! We asked Shawn if he had ever used Codeable himself, given WP101 has partnered with them. “Yes, I’ve hired Codeable experts to tackle bug fixes or make small improvements to my own site”, Shawn said. “It frees my time to do what I do best, and focus on what matters most to me… creating great content and helping our members. You can’t beat their affordable rates, and their developers always go over and above, often pointing out other small issues they discover along the way. I love having a team on call anytime I need a little outside help”. 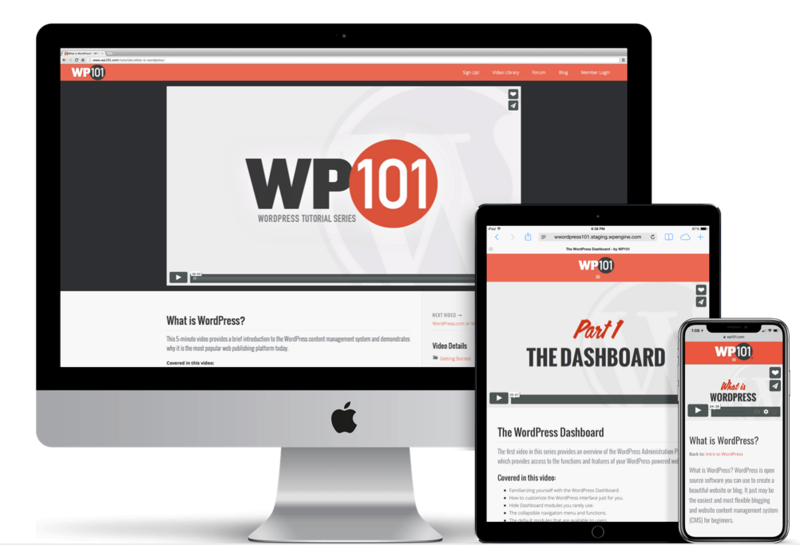 Given that we live in a world where video content is so easily accessible, and it doesn’t cost anything, we wanted to know what sets WP101 apart from the competition. Why should a member spend $24 for a course when they could likely Google a similar course, or find one on YouTube at no expense. “It’s hard to believe, but when I created the first WordPress 101 video tutorial series in 2008, there was only one other online video training series for WordPress, and it was badly out of date”, Shawn told us. “So right away, I knew that one of the most challenging differentiators would be to continually keep the videos up to date”. 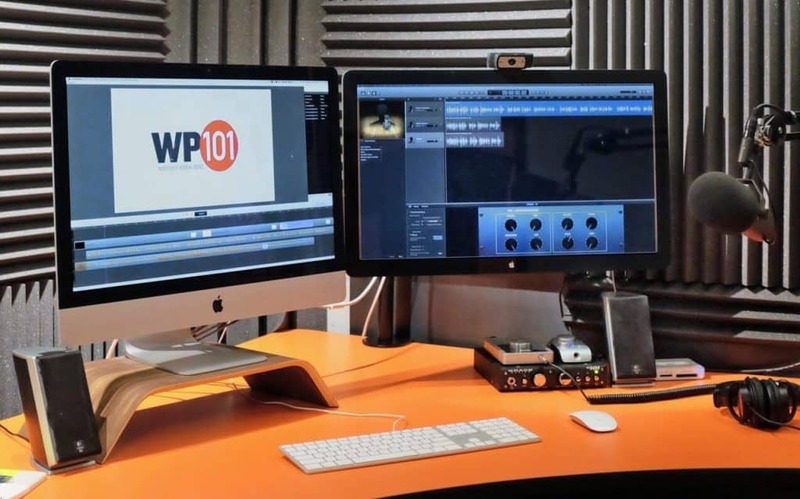 Since the first WP101 tutorial, Shawn has re-recorded the whole WP101 series 24 times! Shawn said that he obsesses over the quality of his videos, achieving a gold standard for WordPress training videos. We were intrigued to understand Shawn’s point of view on what sets WP101 apart from the free resources available. “Today, you can find hundreds of homemade videos for WordPress on YouTube. But as you watch those videos, you’ll notice that the person recording them is just clicking on every screen and checkbox, trying to show you everything that’s in their head. That’s because they’re not teachers. They’re just expert users of the software”. If you make a choice to purchase one of the great video tutorials on WP101, you’ll notice there aren’t any ‘uhs’ and ‘ums’ (as Shawn puts it); the professionalism is outstanding and obvious from the get go. How many times have you watched a YouTube tutorial and had burning questions with no one to respond to you? 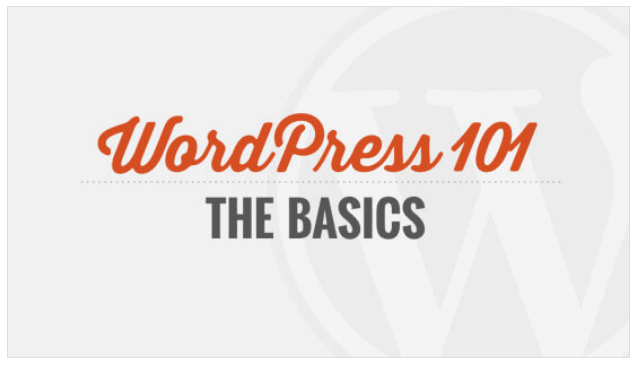 WP101 members have full access to a whole community where they can connect with out WordPress users, ask questions, and get answers from experts. Shawn proudly states “Every day, I visit the forum to answer questions from our members, often providing step-by-step instructions on how to solve a problem, or recommending a specific plugin or service they may find helpful. Many of our members continue to renew their membership every year just so they can continue to have access to our help forum”. “Because of its enormous flexibility, WordPress has also attracted a massive, worldwide community of site owners, designers, and developers who continue to improve the software with each new version”, Shawn said. And that’s why there’s such a large market for WordPress plugins! With over 1.5 million installations, WP101 has their own plugin. Shawn let us in to a little secret for their future plans, “We’re preparing to release a completely new version of the WP101 Plugin within the next few weeks”. “This new version has been completely rewritten from the ground up, and will bring some exciting new features that will better serve the WordPress developers and agencies who use that plugin to provide our videos to their customers, directly within their own individual WordPress dashboards”. We absolutely loved chatting with Shawn to find out all about WP101. We can 100% see why so many users (more than two million) have chosen WP101 as their port of call for WordPress tutorial videos. With even more videos lined up for the future, we’re just as excited as Shawn Hesketh is for the coming year!